Palembang: Experienced Indian shooter Heena Sidhu settled for a bronze medal in a topsy-turvy women’s 10m air rifle final of the Asian Games here On Friday. 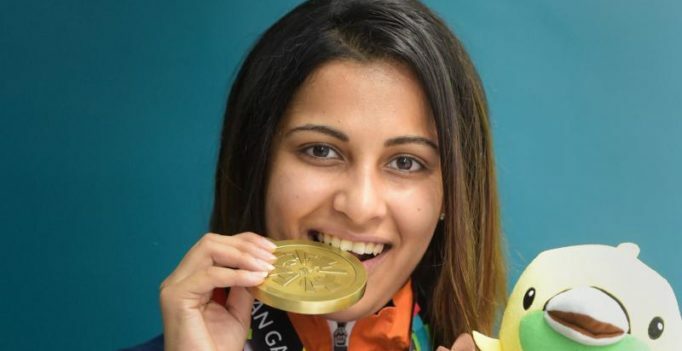 Having made an incredible comeback after languishing at 13th and 17th places in the qualification stage, Heena did not look content with the eventual third-place finish as she managed to reduce the gap to a mere 0.1 between her and the gold medal.Heena shot 219.3 in the final. The Haryana girl had topped the 25m pistol qualification with a Games record and was third on Friday.